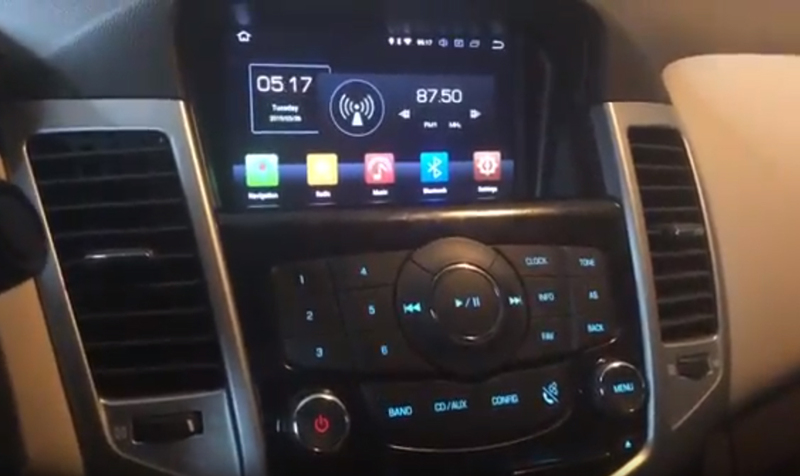 I just recently installed the carnaviplayer.com radio (the 7047 model) in my '11 cruze. Full navigation, backup camera, default controls work, etc. This is the best aftermarket radio that I have ever installed in any car. It even overlays the AC settings when you turn the knobs. I made a review video and some instruction videos just in case someone else has interest. This radio is off the hook. Let me know what you guys think. Last edited by Boogondi; 03-25-2019 at 06:33 PM. TY2185 and Blasirl like this. I watched the first video and snippets of the others. Very thorough and well done. There are a few that are on our forum wishing to ditch the MyLink and this would definitely fit the bill. Thanks for taking the time to make these and posting them here. Wow I really like how easy and well put together this is. I will definitely be saving this info and saving the dough to get it. Thanks for the share! factory base radio to factory pioneer radio. can it be done? Radio randomly turns from radio to aux? Upgrade stock radio to genuine gm gps radio?